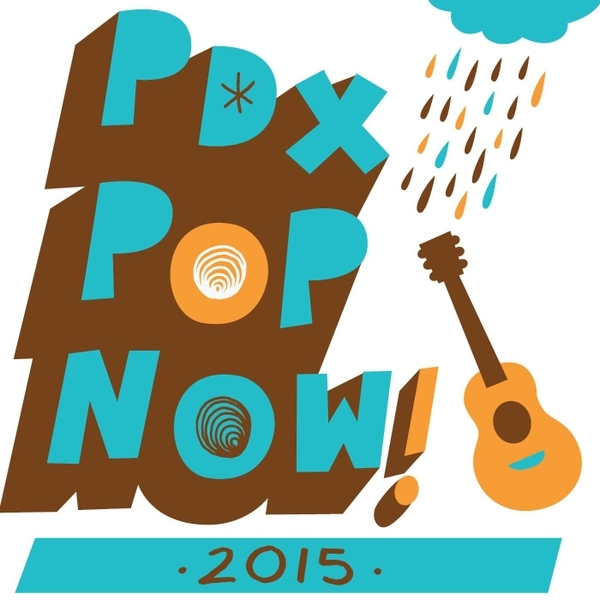 B ack for it’s twelfth year, Portland’s annual PDX Pop Now! festival returns to its real estate under the Hawthorne bridge outside of the studio space Audio Cinema. PDX Pop is one of the Portland music scene’s saving graces for many reasons. It provides one of the rare opportunities for folks of all ages to witness the city’s true musical landscape. Unlike other local festivals making the shift towards mainstream headliner acts in effort to draw bigger crowds and hike up ticket costs, this event remains completely volunteer run on a not for profit basis and free of charge for attendees. Aren’t we all sick of seeing TV on the Radio and various other outdated major label artists itching for a comeback on every festival bill anyway? Per usual, to entertain listeners beyond just one weekend, PDX Pop has assembled another eclectic compilation album highlighting a diverse array of local artists, from the brilliant breakout dream psych tunes of Cat Hoch to a brand new single by synth pop favorites Minden, and from the sinister hip hop delivery of Rasheed Jamal to the hauntingly beautiful guitar and vocals of Luz Elena Mendoza. Once again this year PDX Pop is teamed up with Rigsketball, Portland’s infamous bracket style band on band 3 v. 3 basketball tournament using a hoop attached to the top of the tour van of local rippers And And And. Watch as your favorite local gangly musicians step off of the stage and onto the court for some bumper dunks. To help with planning schedules around the 40+ bands playing PDX Pop Now! this year, here are our recommendations of which acts not to miss. Coming off of a seemingly multi-year hiatus, Dead Oceans artist Nurses are still a cornerstone in experimental pop music both locally and beyond. Blurring the lines of R&B and pop, the electronic beats carrying Nurses otherworldly vocals and focal bass lines are so good that even hip hop legend A$AP Rocky and crew had a lazer tag freestyle session with one. If it’s a dance party you’re looking for, one of Sunday night’s headliners, Phone Call, are the group to catch. The duo comprised of Johnny Ziegler and Bailey Winters, strutted their way into local and international hearts in their previous group Strength, but after losing a guitarist to Starfucker they reformed as Phone Call with a little less rock and a little more R&B. With more obstacles in place to keep local hip hop from thriving than just about any other music community, there is still an impressive crew of MCs holding down the rap game. One of the prominent figures in the group is Vinnie Dewayne, with a smooth as butter infectious flow. Dewayne stole the show multiple times at last year’s PDX Pop fest making cameo appearances during the sets of Tre Redeau, Myke Bogan, and The Resistance. This year expect a full set of pure fire. Leo London and Michael Finn of The Domestics may just be Portland’s very own Jon and Paul. It’s not often that two singer songwriters can come together with such embracing harmony that they create something bigger than themselves. For the Domestics this was not an issue as evident in the catchy, soulful, indie rock ballads on their self-titled debut album just released on Tender Loving Empire. If you’ve ever been to a Talkative show and didn’t end up in a frenzied head thrashing state of bliss, you weren’t doing it right. This staple of the local psych rock scene always radiates a contagious level of energy from the stage while ripping through heavy, fuzzed out, synth backed anthems of Portland angst. Portland’s newest steward of psychedelia, hands down, is Jackson Boone. If you’ve ever met the frontman of the band by his same name or seen them live, you’ll know what we’re talking about. The band’s 2014 debut Starlit landed them on our best albums of 2014 list. And after watching the band’s documentary on the making of their follow up record Natural Changes (with producer Riley Geare of UMO) which is out September 9th, we’re pretty sure JB might make a return appearance on our best of 2015 list.